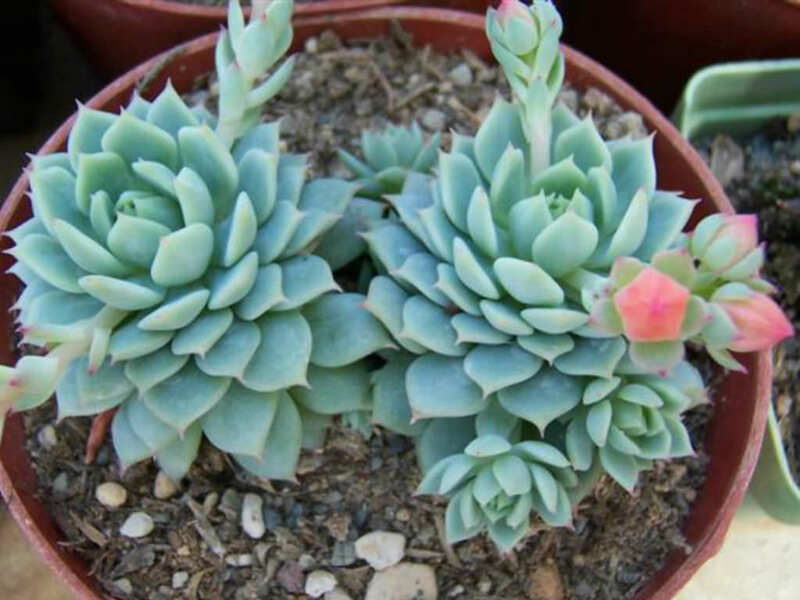 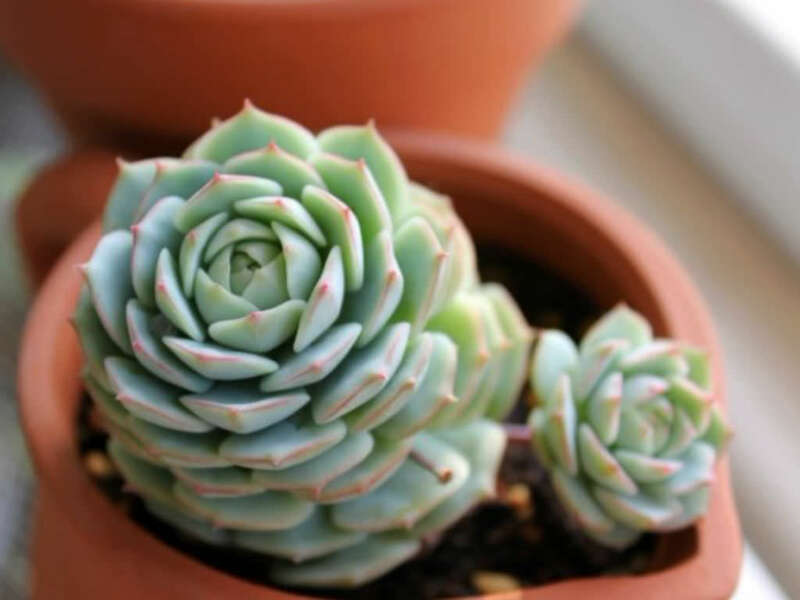 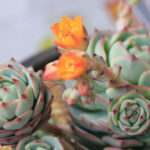 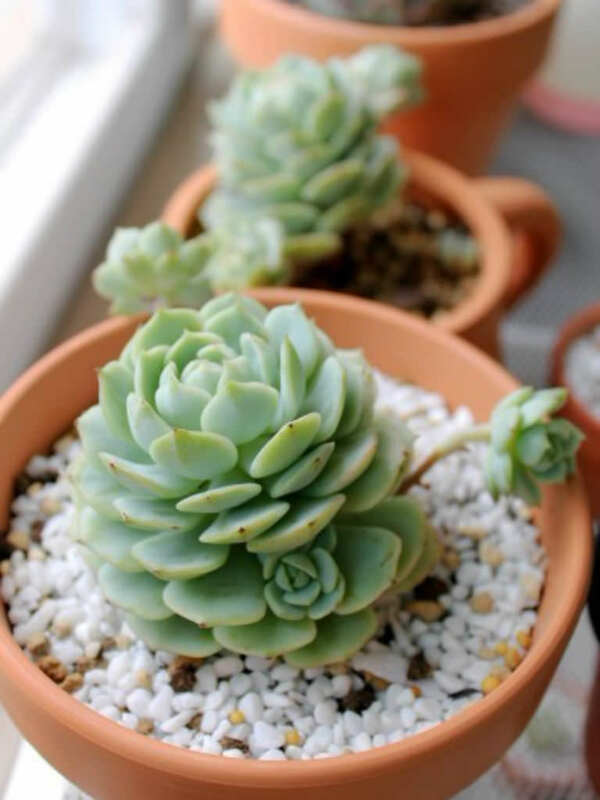 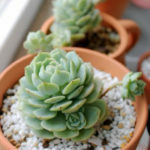 Echeveria derenbergii ‘Captain Hay’ is a small succulent plant, up to 5 inches (12.5 cm) tall, with densely clustered round rosettes, up to 3.2 inches (8 cm) across of triangular grey-blue leaves edged in red. 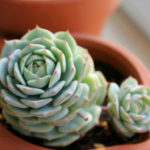 Offsets freely to from clumps. 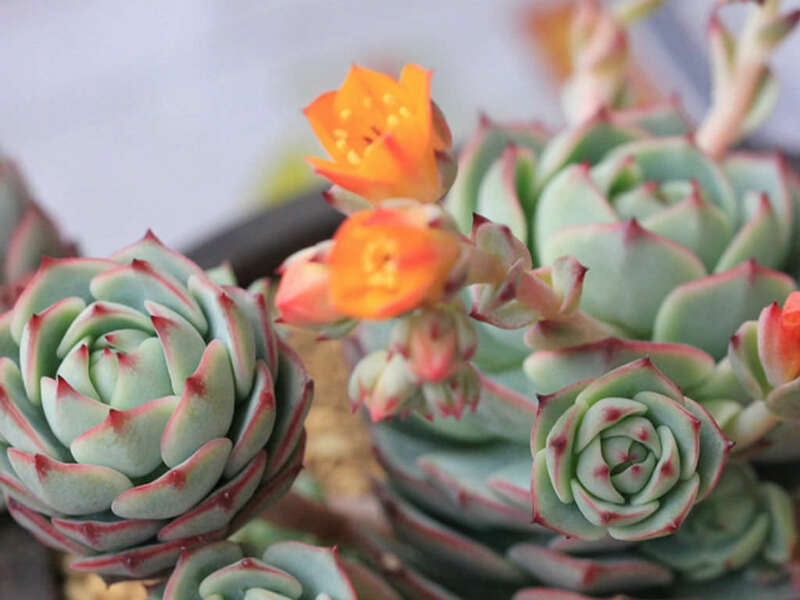 It blooms in the spring with vivid yellow flowers.